I've tried many different mascaras over the years from budget to high end. I don't care what price point a mascara is at as long as it does what I want it to do - which is to make my lashes look Elizabeth Taylor's. No pressure then. I want them to be full and fluttery, yet defined. Like I've got false lashes on. I don't want any clumping. I don't want it ending up halfway down my face by lunchtime. I don't want spider legs. I want it to be easy to remove. For me, the Faux Cils does it all with bells on! Every application is as good as the last one. 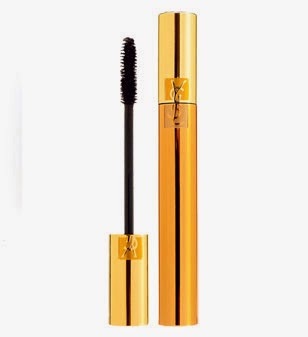 This is the mascara I reach for more than any of the others I own. There are of course a few pretenders to the crown; my beloved Chanel Inimitable, the ever-wonderful Givenchy Phenomen'Eyes, and the Dior Iconic Overcurl. All close but no cigar. All are in black, though I know one of these days I should branch out and maybe try other colours! I honestly cannot quantify for you how many tubes of this I've bought over the years. Finding this mascara was love at first application. Every morning, when I go to put on my makeup, my golden tubed hero is twinkling up at me, waiting to make my lashes look fabulous. No pictures to show you, I'm sorry... phone camera is acting up. Trust me though. It costs €31, and in my book worth every single penny.